Silver Tetradrachm, 16.89 g., 30 mm, a lifetime emission of Lampsacus, ca. 297-281 BC. Rev. 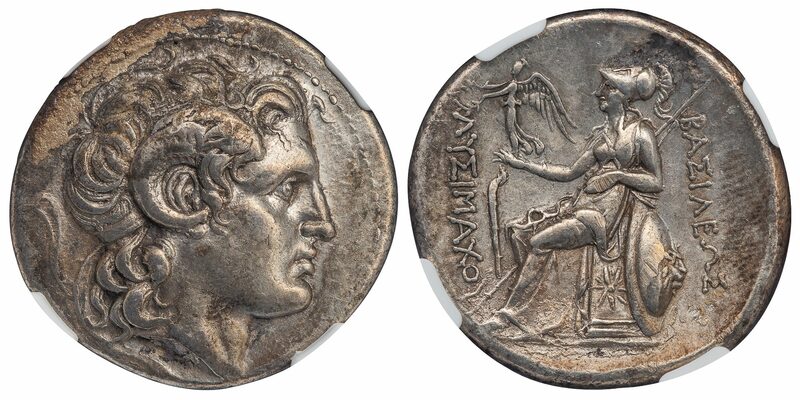 ΒΑΣΙΛΕΩΣ ΛΥΣΙΜΑΞΟΥ, Athena enthroned left, holding a Nike crowning Lysimachus’ name, torch in left field, star on throne. 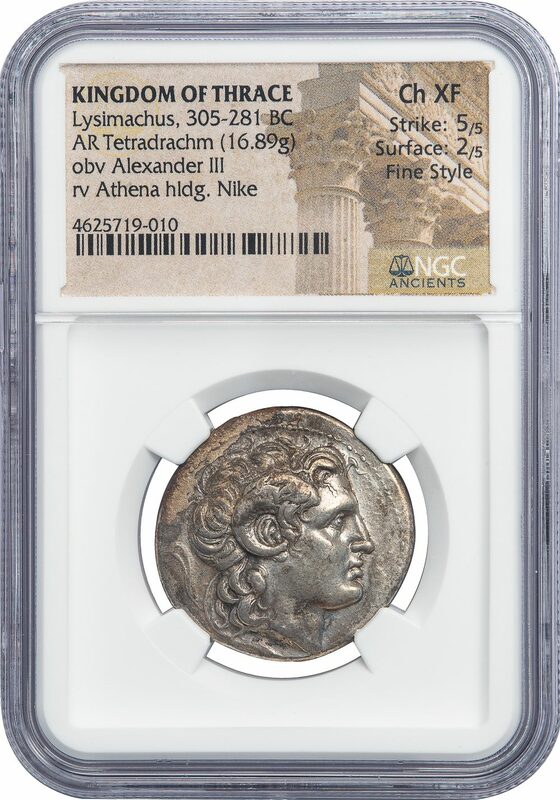 NGC graded CHOICE XF, Strike 5/5, Surface 2/5, FINE STYLE, some surface marks but struck from dies of exceptional style.